LATER today Gurinder Chadha’s latest film, ‘Blinded by the light’ has its world premiere at the Sundance Film Festival (January 24-February 3) and expectations are high. The Hollywood Reporter earlier this week named it as one of 12 films here without a distribution deal but getting a lot of buzz and interest at Sundance this year. Interestingly, one of the films on that list is about to be snapped up by Amazon for a reported $13 million (almost £10m) – that film is Mindy Kaling’s ‘Late Night’ which had its world premiere here on Friday (January 25) and acv saw it yesterday – we will carry reviews of this and other films shortly. Kaling and director Nisha Ganatra and several members of the cast came out after the screening of the film yesterday morning for a Q&A. Ganatra also brought out her three-month old child and said she had been pregnant for much of the shoot but that it didn’t affect her adversely. Chadha’s film also enjoys a premiere at the festival’s largest theatre, the Eccles. Seating more than 1,200 people, it promises to be quite the occasion. 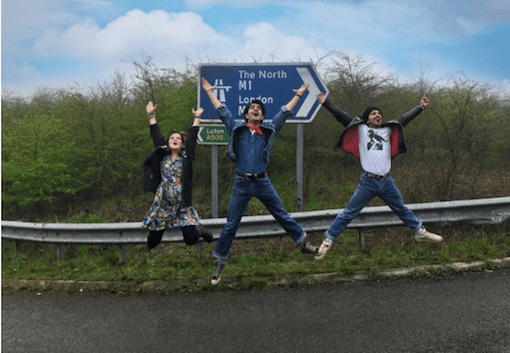 The film is an adaptation of writer and journalist Sarfraz Manzoor’s memoir ‘Greetings from Bury Park‘ and his deep obsession with music of icon Bruce Springsteen. We expect to be on the Red Carpet for ‘Blinded by Light’ (tune in at around midnight Sunday/Monday for late night coverage), as were for Kaling’s film. (Seen our interview?). Yesterday, acv saw three films with ‘Late Night’ which stars Emma Thompson as a flagging talk show host who takes on Kaling (playing ‘Molly Patel’) to reinvigorate her 20-plus year late night TV offering. Funny and smart, it isn’t hard to see why a big global studio wouldn’t want to pick it up. ‘Sonja-The White Swan’ is a biopic of famous skating champ turned Hollywood entertainment ice queen. In Norwegian and mostly English, it’s stylish and an intriguing portrait of a woman who lived on the edge in her youth and struggles with both the ageing process and her dependent sibling and mother whom she has supported since their move from penniless Norway to the US. ‘Hala’ is a feature about a Pakistani American teen negotiating the perils of her final year at secondary school. Written and directed by Minhal Baig, it has many themes and we suspect you’ll be hearing a lot more about Baig in due course.